Jason Hartman is joined by author, Gordon G. Chang, to discuss the looming proliferation of nuclear weapons, particularly in North Korea. Gordon talks about the skepticism surrounding North Korean intentions, noting that the KNO-8 missile was unveiled and was to be transported on TELs, Transporter Erector Launchers, of Chinese design. He says it’s very likely the Chinese are arming the North Korean forces. The KNO-8 has the potential to reach Alaska and U.S. forces in the Pacific. It is considered a direct threat to our homeland and completely unacceptable. Listen at: www.HolisticSurvival.com. Gordon feels there needs to be some very candid conversations about this issue. He talks about the instability and belligerence of the North Korean regime that doesn’t bode well for their relationships with South Korea and the U.S. With the hard-line, barbaric elements controlling the regime under young Kim Jong-un, it could take a half decade or more to establish a more stable North Korea. Jason and Gordon also discuss the fragile political and economic system in China. As the workforce shrinks, China is at risk of collapse due to low economic growth and very interesting developments happening, creating a volatile society. The “economy is stumbling, the Communist party is fracturing, the authority of the central government is eroding, the military is breaking free of civilian control, and while all of this is happening, the Chinese people are taking to the streets hundreds of thousands of times a year and often in violent protest,” says Gordon, based on the last figures available in 2010. In wrapping up, Gordon states that the change in nature of the regimes in both countries put everyone at risk. He suggests the U.S. stop looking at China as a solution for North Korea and instead create a new policy of working with its friends in the region. 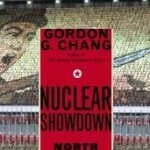 Gordon G. Chang is the author of Nuclear Showdown: North Korea Takes On the World, released by Random House in January 2006. Showdown focuses on nuclear proliferation in general and the North Korean crisis in particular. His first book is The Coming Collapse of China (Random House, August 2001). He is a columnist at Forbes.com and The Daily and blogs at World Affairs Journal. He lived and worked in China and Hong Kong for almost two decades, most recently in Shanghai, as Counsel to the American law firm Paul Weiss and earlier in Hong Kong as Partner in the international law firm Baker & McKenzie. His writings on China and North Korea have appeared in The New York Times, The Wall Street Journal, the Far Eastern Economic Review, the International Herald Tribune, Commentary, The Weekly Standard, National Review, and Barron’s. He has spoken at Columbia, Cornell, Harvard, Penn, Princeton, Yale, and other universities and at The Brookings Institution, The Heritage Foundation, the Cato Institute, RAND, the American Enterprise Institute, the Council on Foreign Relations, and other institutions. He has given briefings at the National Intelligence Council, the Central Intelligence Agency, the State Department, and the Pentagon. He has also spoken before industry and investor groups including Bloomberg, Sanford Bernstein, Royal Bank of Scotland, and Credit Lyonnais Securities Asia. Chang has appeared before the House Committee on Foreign Affairs and the U.S.-China Economic and Security Review Commission. He has appeared on CNN, Fox News Channel, Fox Business Network, CNBC, MSNBC, PBS, the BBC, and Bloomberg Television. He has appeared on The Daily Show with Jon Stewart. Outside the United States he has spoken in Beijing, Shanghai, Taipei, Hong Kong, Seoul, Singapore, Tokyo, The Hague, London, Ottawa, Toronto, and Vancouver.